The 2018–19 Scottish League Cup is the 73rd season of Scotland's second-most prestigious football knockout competition. It is also known as the Scottish Communities League Cup for sponsorship reasons. The competition is a single elimination knock-out competition. In each round, fixtures are determined by random draw, with the first to third rounds seeded according to last season's league positions (higher 50% of finishers drawn v lower 50% of finishers, alternating which is at home with each tie drawn). Fixtures are played to a finish, with extra time and then penalties used in the event of draws. The competition is open to all clubs in the Scottish Premier League and Scottish Football League. Clubs involved in European competitions are given a bye to the third round in order to avoid congestion of fixtures. The 2019 Scottish League Cup Final will be the 73nd final of the Scottish League Cup. The final will take place on 17 March 2019 at Hampden Park, Glasgow. The clubs contesting the 2019 final will be SPL clubs. 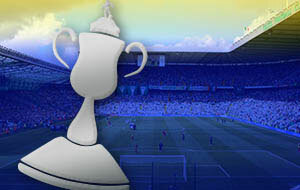 Buy Scottish League Cup Final tickets securely online now! !